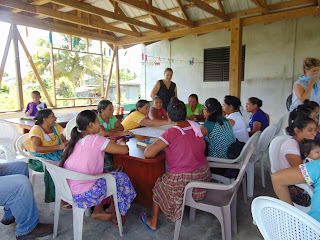 I am part of a team of three women currently doing field work with the Maya Leaders Alliance (MLA) and the Toledo Alcaldes Association (TAA) in Punta Gorda, Belize to develop toolkits for use at visioning workshops. 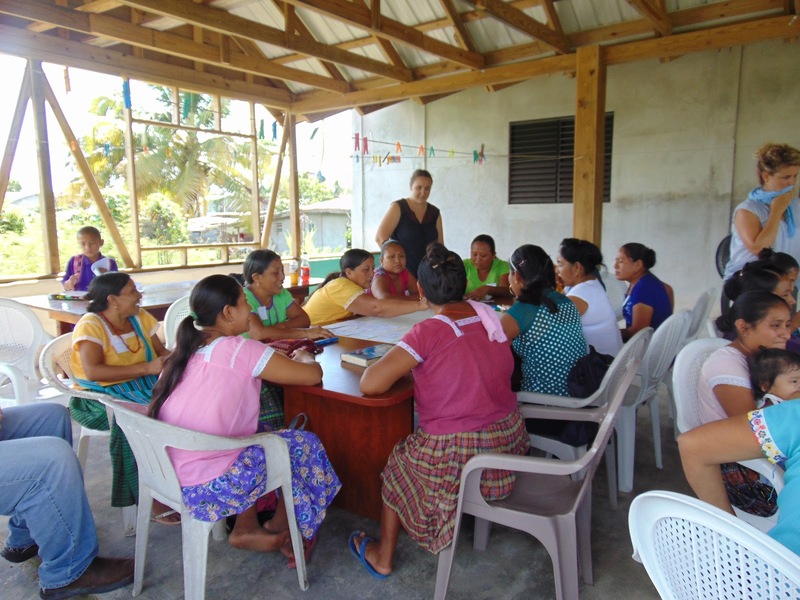 Now that Maya Land Rights are formally recognized following the Caribbean Court of Justice ruling in 2015, the MLA and TAA are working together to ensure that the indigenous voices are heard in the planning process for future economic development. The visioning workshops are being held to discover how Maya people desire to move their economy forward in a sustainable manner and what work they would like to develop that supports their culture and way of life. These visioning workshops provide a space for large numbers of Maya people, from a variety of Maya villages in Toledo District, to share and discuss their hopes for the future. We will be hosting two visioning pilot workshops and the main objective of conducting these two pilots is to test methods for future workshops. From these pilots, the outcomes will include Needs/Assets map, world cafe discussion notes, feedback from the pilot project (what, when and where), formally engaging women for the first time in providing input for MLA, building deeper cross-community relationships and ultimately, MLA will have the materials to begin drafting an actual vision statement. I am including photo from our first pilot with the Women’s Group.